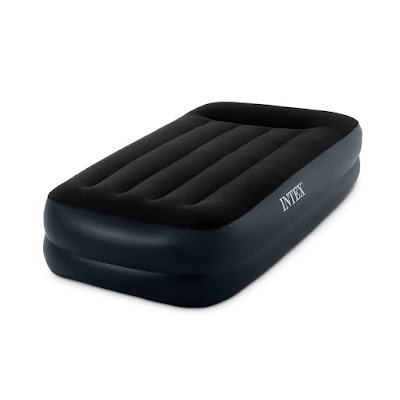 Today only, while supplies last, Amazon Prime Members can get this Intex Pillow Rest Raised Airbed with Built-in Pillow and Electric Pump, Twin for ONLY $16.71 (Retail $39.99)! The Pillow Rest is raised 16.5 inches from the floor, making it far taller than most inflatable mattresses, and includes built-in pillows for added comfort. And at 39 by 16.5 by 75 inches (W x H x L), the mattress is an official twin size, making it a good fit for fitted sheets. The Pillow Rest--which offers a capacity of 300 pounds--comes with an AC power cord, a shoulder strap, and a duffel bag.